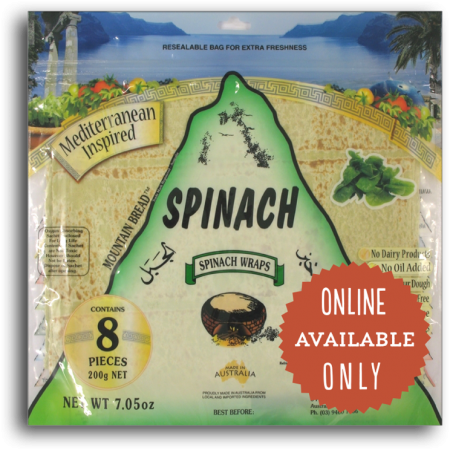 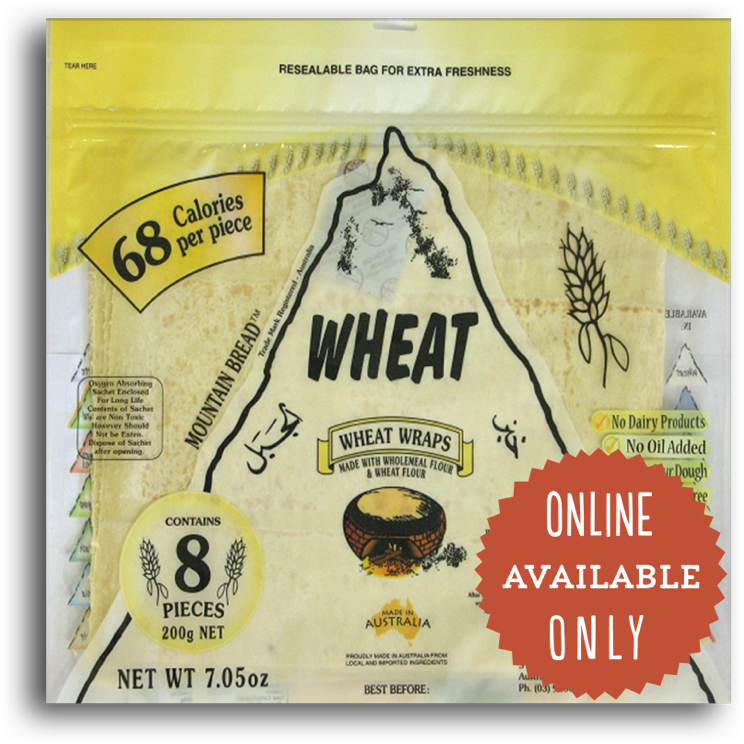 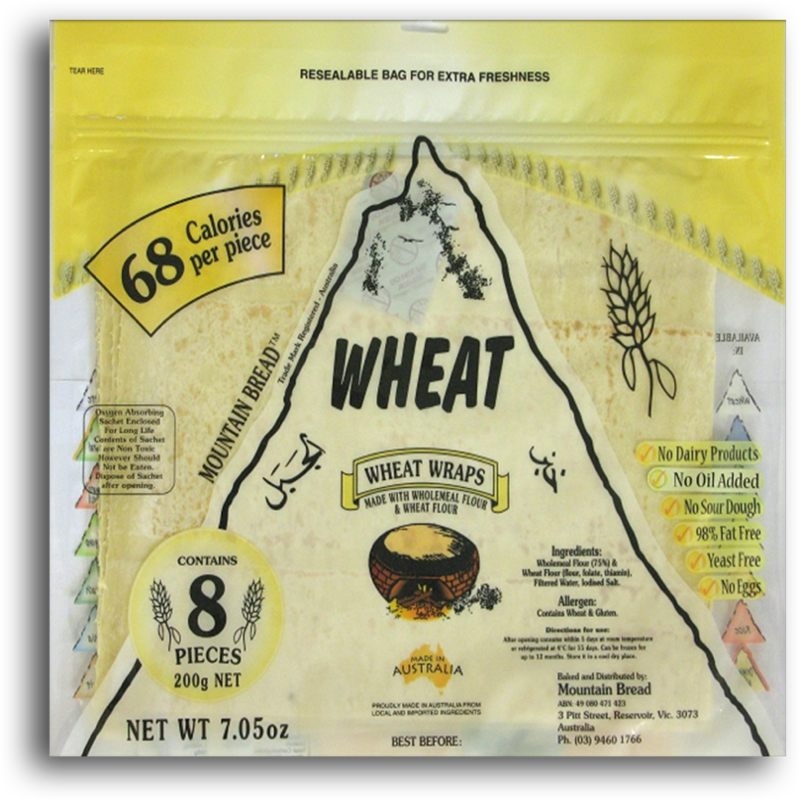 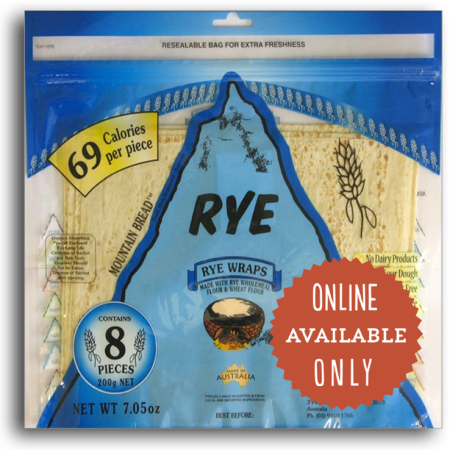 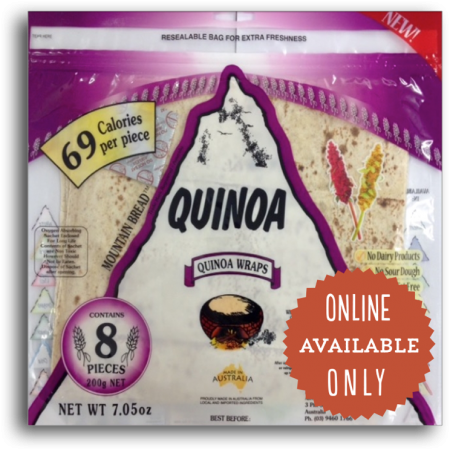 With only 68 calories per piece, Mountain Bread Wheat Wraps are the lowest-calorie wraps in New Zealand alongside Mountain Bread’s Rice Wraps which have the same calorie count. 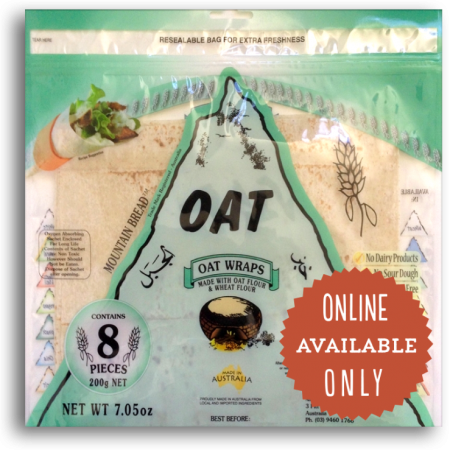 Available only online at Gerry’s Shop. With only 68 calories per piece, Mountain Bread Wheat Wraps are the lowest-calorie wraps in New Zealand alongside Mountain Bread’s Rice Wraps which have the same calorie count. 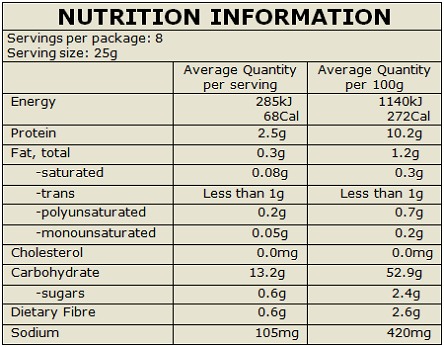 Wholemeal Flour (75%) & Wheat Flour (flour, folate, thiamin), Filtered Water, Iodised Salt.